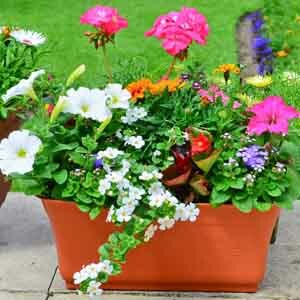 Pre-planted annual combinations are perfect for quickly and easily adding color and texture to any setting. Arranging a mix of containers of varied sizes, placed at different heights, will give a lush and professional looking display. Highly contrasting combos can liven up outdoor gathering spots while soft, single toned combos are perfect for places meant for retreat and relaxation. Annual combinations also make great gifts!